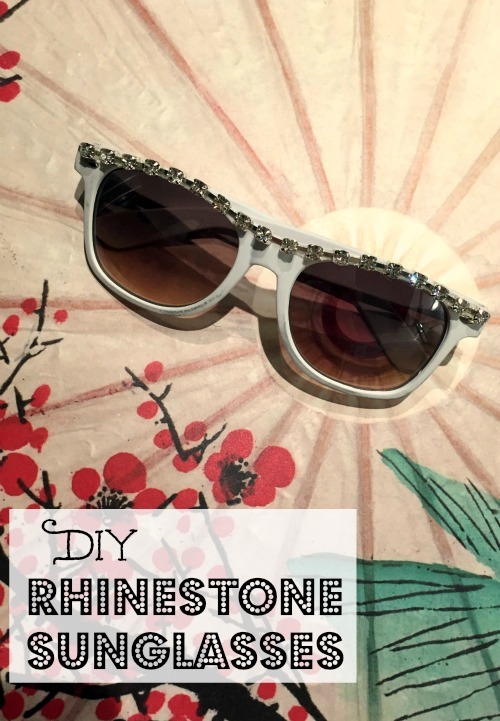 Add a bit of rhinestone glam to a pair of inexpensive sunglasses in just five minutes! 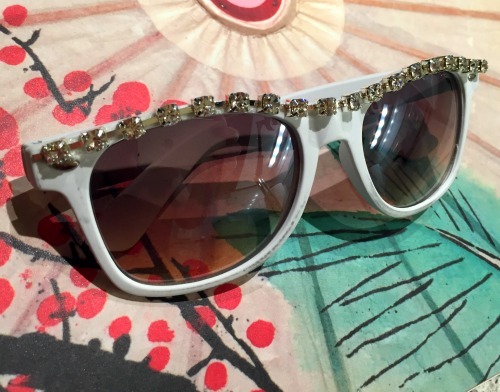 Unique sunglasses are a must in the summer sun, so make your own custom decorated sunglasses with rhinestone curb chain and Aleene's The Ultimate Multi-Surface Adhesive. 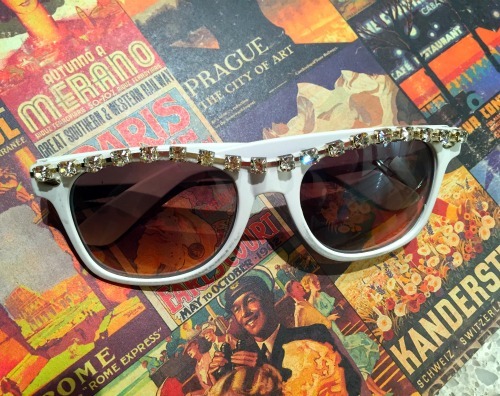 What is Rhinestone Curb Chain? Rhinestone Curb Chain is chain that has rhinestones set into metal cups, that is cleverly designed to allow the rhinestones to curve around non-straight surfaces. It's easy to cut with wire cutters to your desired length. 1. 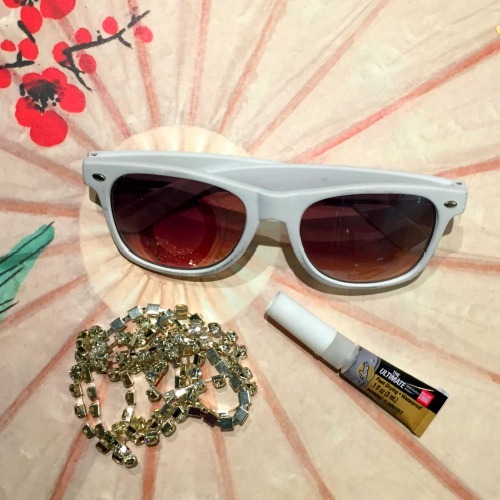 Put a line of The Ultimate Glue along the top ridge of the sunglasses. 2. 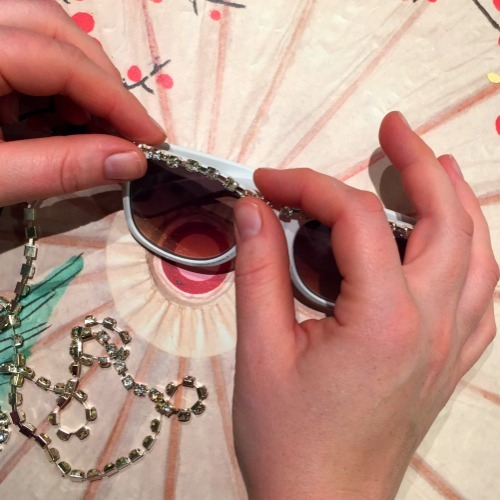 Apply the rhinestone curb chain to the line of glue and adjust so the chain is following the ridge of the sunglasses. 3. 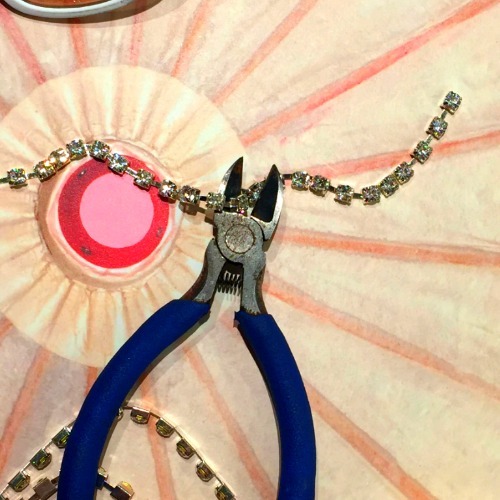 (Optional): Add washi tape or masking tape to keep the rhinestone chain in place while The Ultimate dries. When the glue is dry, remove the tape. 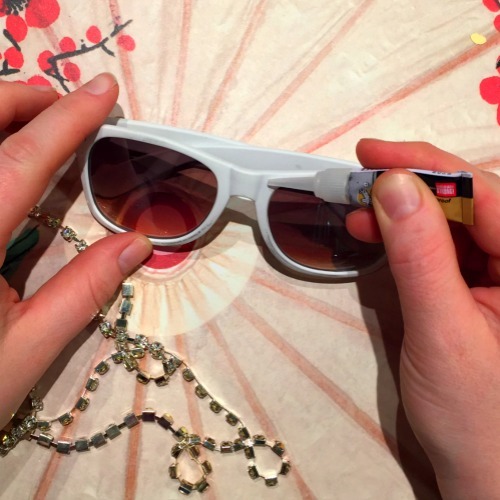 NOTE: It takes about 5 minutes to make these sunglasses, but you will want to wait until the glue is completely dry, according to package directions. Five minutes is something that even I can do! Thanks! Cute idea! My daughter would love this! These are super cute!!! LOVE! VERY easy and cute! I'd try this.